Wislawa Szymborska. 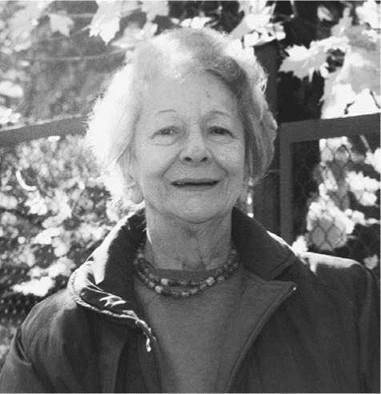 Szymborska, Wislawa, photograph. AP images. Winner of the 1996 Nobel Prize in Literature, Wislawa Szymborska is a private—some would say reclusive— widow. She has been described as ‘‘the [Wolfgang] Mozart of poetry... [with] something of the fury of [Ludwig van] Beethoven,’’ and although she is perhaps Poland’s most popular female writer and is valued as a national treasure there, she has only slowly made her way onto the radar of English-speaking readers. Early Life in Krakow. Wislawa Szymborska was born on July 2, 1923, in the small town of Bnin (which is now part of Kornik). She spent her early childhood there, near the city of Poznan, the industrial and cultural center of the western part of Poland. Her father, Wincenty Szymborska, served as the steward of the Count Wladyslaw Zamoyski’s family estate until taking a generous early retirement in the 1920s. In 1932, when Szym- borska was eight, her family moved to the historic city of Krakow—as much the informal capital of southern Poland as Poznan is of its western reaches—to settle down for good. Since then, Szymborska’s entire life, except for her infrequent and usually short travels, has been spent in Krakow. From September 1935 until the outbreak of World War II in 1939, Szymborska attended Gimnazjum Siostr Urszulanek (Academy of the Sisters of the Ursuline order), a prestigious parochial high school for girls in Krakow. When the Gimnazjum was shut down during the Nazi German occupation of the city, she attended underground classes, passing her final exams in the spring of 1941. During the war, she began to write short stories, of which she has remained critical. After the war Szymborska studied first Polish philology and then sociology at the Jagiellonian University in Krakow but never completed a degree. The Postwar Years. The war had a profound effect on Szymborska. Her poetic debut, ‘‘I’m Searching for a Word,’’ appeared in a literary supplement to Dziennik Polski (The Polish Daily) in March 1945. The poem expresses the inadequacy of language in the face of the personal and collective experience of war. More broadly, many of her poems of this period, including ‘‘Remembering September, 1939,’’ ‘‘Remembering January,’’ ‘‘Leaving the Cinema,’’ and ‘‘We Knew the World Backwards and Forwards,’’ give voice to the desire to dispel the mirages of collective happiness that arise in the enthusiasm following the end of war. These poems and others of this period were published in newspapers and periodicals, and only a few of them were ever anthologized, generally much later. In 1948 Szymborska assembled a collection of her poetry, which was to be titled simply Poezje (Poems), but the collection never found a publisher; its contents were deemed too ‘‘bourgeois’’ and ‘‘pessimistic,’’ clashing with the socialist realist aesthetic that was beginning to take hold. Socialist realism was a movement promoted by the government of the Soviet Union as a way to ensure that all art contributed positively to society; to this end, the movement emphasized optimism and pride in communist ideals and cultural triumphs. The movement also worked against those artists who sought to question those in power or the current state of society. One of Szymborska’s poems, ‘‘Sunday at School,’’ even sparked a campaign against her, in which high school students were prodded to write letters of protest. She was accused of writing poetry that was inaccessible to the masses and too preoccupied with the horrors of war. A two-year poetic silence followed. Krupnicza. Also in 1948, at the age of twenty-four, Szymborska married Adam Wlodek, a minor poet and literary editor, and joined him at the writers’ complex on Krupnicza Street in Krakow. (The marriage ended in divorce in 1954.) Krupnicza Street played an important role in the literary life of Poland in the postwar period. Following World War II, several dozen poets, writers, and translators shared close quarters and dined together at the Krupnicza complex, including Czeslaw Milosz, Jerzy Andrzejewski, poet Artur Miedzyrzecki, Maciej Slomczynski (Shakespeare translator and author of crime novels under the pen name Joe Alex), poets Konstanty Ildefons Galczynski and Anna Swieszczynska, and the foremost postwar scholar of Polish literature, Artur Sandauer. Some lived there for a short period of time, awaiting the rebuilding of Warsaw, but for Szymborska and others it was to be home for many years. Szymborska worked as an assistant editor in publishing houses until 1953, when she became the editor of the poetry section of the Krakow-based weekly Zycie Literackie (Literary Life), a position she held until 1968. She remained on the board as a regular contributor until 1976. A New Direction. As time passed, Szymborska became disillusioned with communism as it was practiced in Poland and the Soviet Union. This point is evident in the contrast between the title of her first collection, That’s What We Live For (1952), and that of her second, Questions Put to Myself (1954). In the semantic gap between these two titles is the first glimpse of the fully original voice that emerged with Szymborska’s third collection, Calling Out to Yeti (1957). Calling Out to Yeti marks a turn in Szymborska’s conception of the role of the poet: She distances herself from the demand to speak for others (the worker, the country, the party), electing to speak only in her own subjective voice. Calling Out to Yeti has been considered a transitional volume, one in which her basic themes begin to take shape. Solidarity and Support. During the 1970s, Polish protesters held mass anticommunism demonstrations. Although her sympathies were aroused by the growing political opposition, Szymborska remained hesitant to adopt the role of spokesperson for political causes, perhaps because she felt she had earlier misplaced her trust in the promise of socialism. For Szymborska, the 1970s were a relatively prolific period. She produced two volumes of poetry, both marked by a strong existentialist streak. Critics of the 1972 collection Any Case highlighted Szymborska’s anti-Romanticism and praised her for her skepticism and humanism, sense of wonderment, and cool assessment of the limitations of human cognition, and pointed to her sensitivity and intellectual subtlety. With the emergence of the Solidarity movement in 1980, the Society and similar initiatives found themselves briefly freed from earlier encumbrances. Szymborska began her affiliation with the newly formed Krakow journal Pismo (Writing), the editorial board of which included many of her closest friends, among them fiction writer and poet Kornel Filipowicz, her longtime companion. Following the declaration of martial law on December 13, 1981, the composition of the editorial board of Pismo shrank as the government imposed demands on it, and Szymborska began to distance herself. Similarly, Szymborska terminated her thirty-year association with Zycie Literackie during this period. Under martial law, she chose to publish underground and in the emigre press under the pen name Stanczykowna, a feminized derivation of the name of a sixteenth-century court jester noted for his forthrightness. Awards and Fame. Although Szymborska’s poems found their way into a few adventuresome literary periodicals during the 1980s, the political climate prevented her from publishing a volume of poetry until after the end of martial law, marking the longest hiatus between her collections. When it was published, People on the Bridge (1986) garnered her praise and several awards, including one from the Ministry of Culture, which she declined, and the Solidarity Prize, which she accepted. Szymborska won her most prestigious award, the Nobel Prize in Literature, in 1996. Despite, or perhaps due to, giving the shortest acceptance speech in literary Nobel history, she went from being an intensely private person to a public figure, vigorously pursued by the media. Since then, however, Szymborska has continued to be known for her quiet way of life and unwillingness to embrace the status of a celebrity. She shuns public gatherings, rarely travels abroad, hates being photographed or interviewed, and, except for her human rights and democratic reform activities, refuses to be involved in partisan politics. She is nevertheless quite involved in the cultural landscape of Krakow and maintains lively contacts with a small circle of friends. Her dislike of being in the limelight is by no means a sign of antisocial inclinations. Rather, it stems from her recognition that the larger part of a writers’ public functioning is an empty ritual and an unnecessary waste of their inner resources. Vaclav Havel (1936—): Renowned playwright and author, Havel was both the last president of Czechoslovakia and the first president of the independent Czech Republic. Lech Walesa (1943-): Walesa was the leader of Poland's primary resistance movement under authoritarian rule (Solidarity), winner of the Nobel Peace Prize in 1983, and first president of Soviet-free Poland (from 1990 to 1995). Tom Wolfe (1931—): Cofounder of the New Journalism movement of the 1960s and 1970s (incorporating literary techniques into reporting), Wolfe is renowned for his fast-paced, technically brilliant nonfiction chronicles of contemporary society. W. G. Sebald (1944-2001): Sebald has been hailed by many as the greatest German writer of the postwar period; his novels are known for their lucid but surreal shifts in perspective and style. Leonid Brezhnev (1906-1982): After Joseph Stalin, Brezhnev was the longest-serving general secretary of the Communist Party of the Soviet Union. He was political leader of the authoritarian Union of Soviet Socialist Republics (USSR) from 1964 until his death in 1982. The Little Prince (1943), a children's story by Antoine de Saint Exupery. The simplicity of this children's story lines up with a complex but unspoken philosophy of the world. ''The Red Wheelbarrow" (1923), a poem by William Carlos Williams. This poem is a quick sketch of a red wheelbarrow. It has captured the fancies of generations and has been seen as reflective of the imagist philosophy. Death Comes for the Archbishop (1927), a novel by Willa Cather. This historical novel portrays two French priests setting out to establish a diocese in New Mexico. Skamander. Szymborska’s early work drew upon several literary movements, including the Polish avant-garde and the Skamandryci (Skamander formation). The Skamandryci was a group of interwar poets of diverse styles and literary lineages who shared a commitment to democratizing and expanding the range of poetry and poetic language, writing such ‘‘low’’ poetic forms as cabaret songs, nursery rhymes, and commercial slogans. Like the Skamander poets, Szymborska embraces colloquialism and is especially indebted to Julian Tuwim’s poetics of the everyday. Simple Details. Szymborska emphasizes and examines the chance happenings of daily life and of personal relations in her poetry. ‘‘She is a master at recognizing the importance of the insignificant,’’ explains James Beschta, continuing, ‘‘It is the innovative, playful use of language that dominates her style.’’ Indeed, what sets Szymborska apart from her poetic peers is her insistence on speaking for no one but herself. She refuses to wear the cloak of the prophet and harbors no illusions about changing the world or even the local political landscape with her poetry. As a result, she writes with the liberation of a jester. Szymborska has drawn attention for her irreverence toward the lofty and self-important and for her exaltation of the lowly and seemingly trivial. As a Polish poet gaining international prominence during the most frigid years of the cold war, she sought to write poems about people, about a common and simple humanity. This very emphasis on the human, however, has been identified as a part of an ‘‘apolitical politics’’ in Poland, Czechoslovakia, and other Eastern bloc countries. That is, in totalitarian political systems, where even the most mundane activities and everyday life itself are ‘‘for the Party,’’ an insistence on humanness and connection without politics was itself a political statement. 1. Choose four poems from View with a Grain of Sand: Selected Poems and discuss a common theme in these poems. Discuss why Szymborska opted to anthologize these poems together. Do the different poems reflect on one another in some ways? 2. Discuss Szymborska’s representation of the unexpected within daily life. What sorts of details draw her attention? What are the advantages and disadvantages of taking on a perspective such as hers? 3. Find an example of a poem where Szymborska uses a small and apparently insignificant detail to reflect on a large and important issue. What are some of the effects of this technique? 4. In The Century’s Decline, Szymborska writes, ‘‘The most pressing questions are naive ones.’’ What do you think she means by this? What are some of the ‘‘naive’’ questions Szymborska poses in her poetry? Gabrys, Malgorzata Joanna. ‘‘Transatlantic Dialogues: Poetry of Elizabeth Bishop and Wislawa Szymborska.’’ PhD diss., Ohio State University, 2000. Levine, Madeline G. Contemporary Polish Poetry 1925-1975. Boston: Twayne, 1981. Neuger, Leonard and Rikard Wennerholm, eds. Wislawa Szymborska—A Stockholm Conference, May 23-24, 2006 Stockholm: Kungl. Vitterhets Hisorieoch Antikvitets Akademien, 2006. Badowska, Eva. ‘‘‘My Poet’s Junk’: Wislawa Szymborska in Retrospect.’’ Parnassus: Poetry in Review 28 (2004): 151-68. Bojanska, Edyta M. ‘‘Wislawa Szymborska: Naturalist and Humanist.’’ Slavic and East European Journal 41 (Summer 1997): 199-223. Carpenter, Bogdana. ‘‘Wislawa Szymborska and the Importance of the Unimportant.’’ World Literature Today 71 (1997): 8-12. Kostkowska, Justyna. ‘‘’To Persistently Not Know Something Important’: Feminist Science and the Poetry of Wislawa Szymborska.’’ Feminist Theory 5, no. 2 (2004): 185-203.